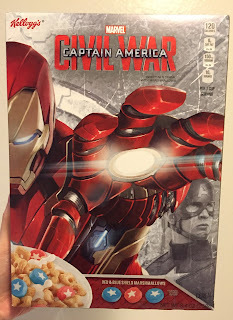 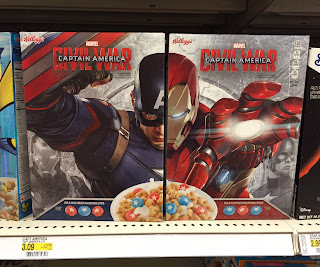 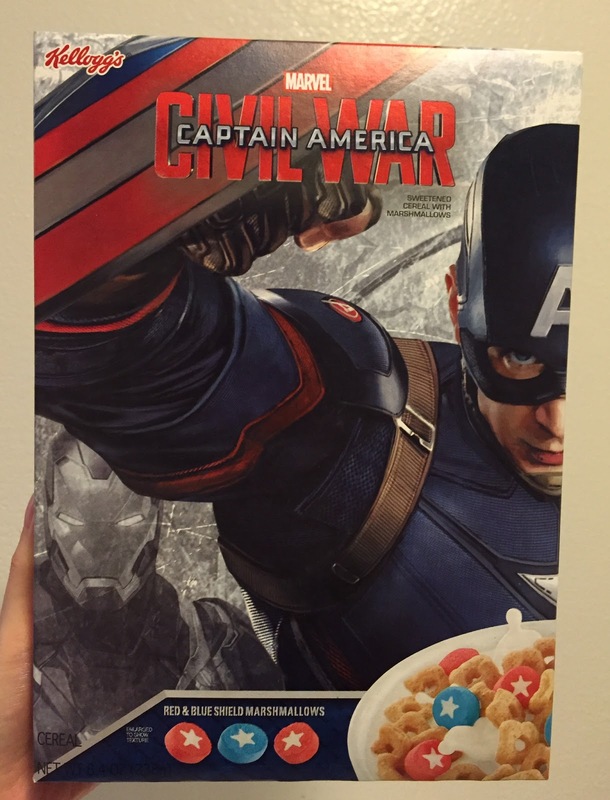 At Target in Daly City, California, we found Captain America: Civil War cereal. 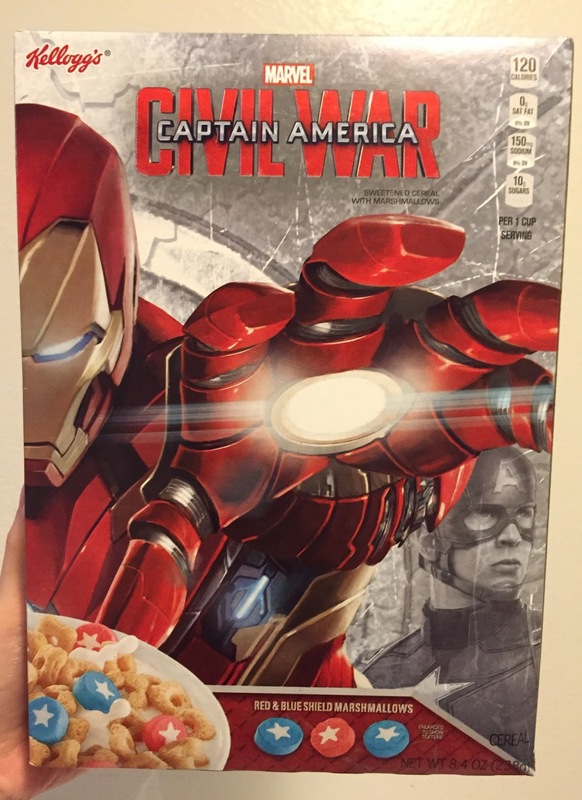 The movie will be released on May 6, 2016 in the states while Japan will show it 7 days earlier, on April 29. 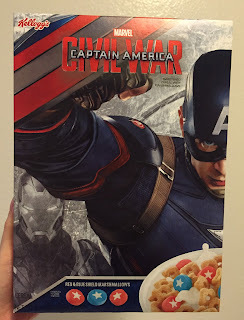 I think Japan decided to show it at the beginning of Golden Week, multiple studded holidays when people tend to take a long vacation combined with paid vacation. 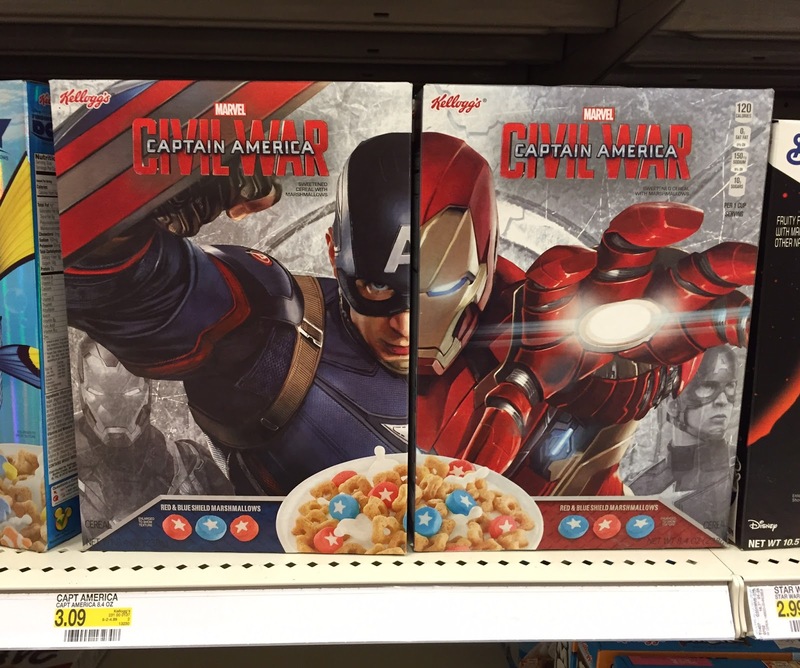 When I saw the display on the rack, I thought there're 2 kinds of packaging but actually it's the front and back of 1 box. 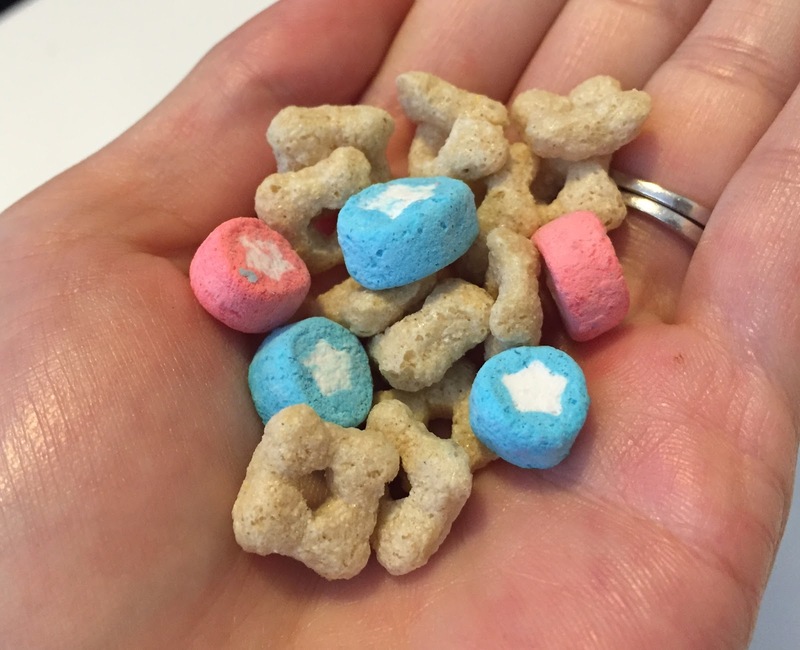 It's Kellogg's product same as Finding Dory and Frozen, thus I knew it'd be the same cereal with different marshmallows. Red and blue marshmallows had white stars in the center.